Hello! My name is Bernice and I am a sweet 14 year old lady. I am currently being fostered after my previous owner was moved to nursing care. 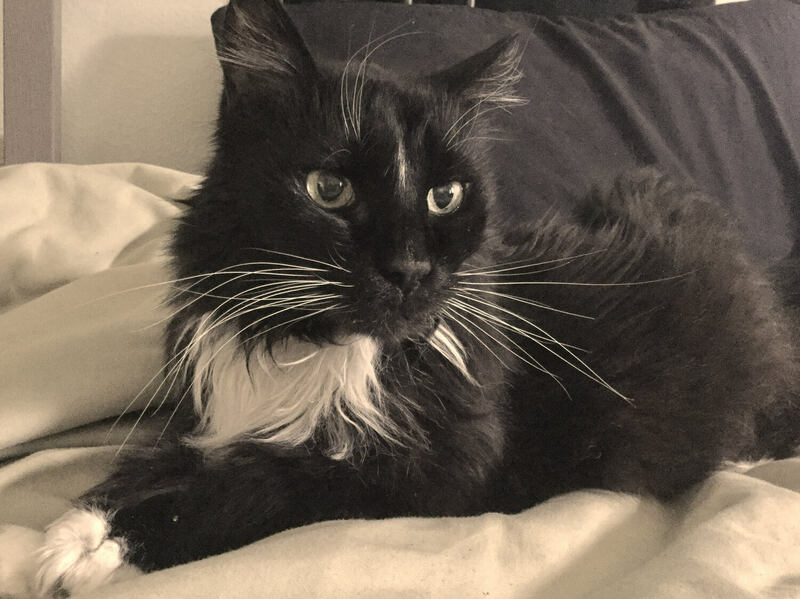 I am a slender long haired tuxedo cat, and am in good spirits considering all my years. I love to be brushed and cuddled and have been told I am a purrrrfect foot warmer. I would do best as a single cat but I can hang with others if I have to. I am in foster, so please fill out your application and Pixie will contact you to set up a meet and greet! I come to you spayed, vaccinated, and micro-chipped for an adoption fee of $80.